The Mrs. Fisher: Because it's Monday...How About a Giveaway? Because it's Monday...How About a Giveaway? I am giving one away. What am I giving away??? I'm giving away one of these gorgeous Bellamy clutches. I mean really, it's too perfect. 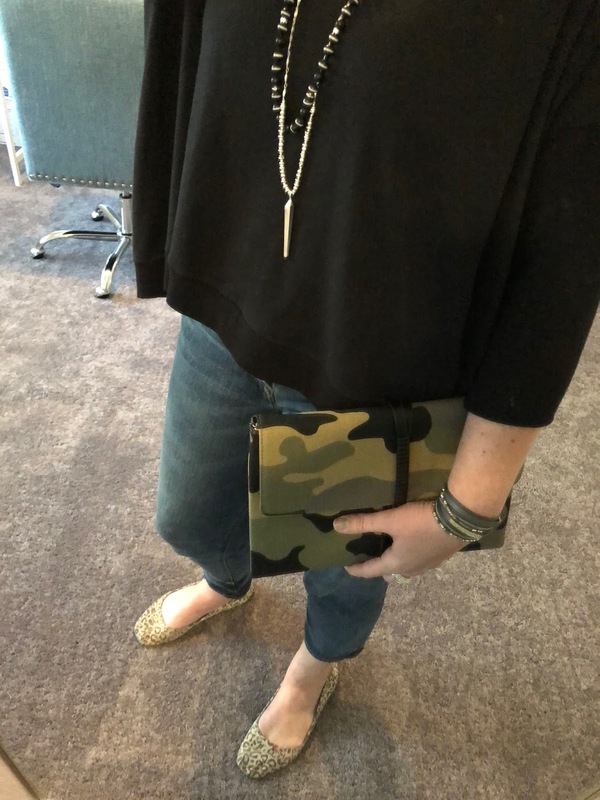 Camo is a perfect neutral and I have been having fun pairing it with everything! Above I'm wearing it with my Addy poncho, Yves bracelet, and Rayna necklace. Here, it's paired with the Natia necklace and the Anda bracelet. Who wouldn't want to win one of these? Enter via the Rafflecopter. Winner will be announced on Friday! 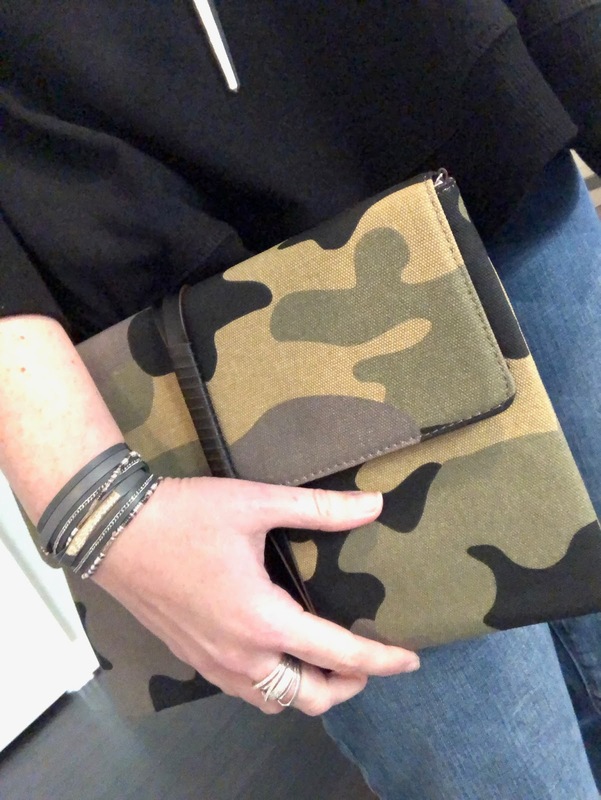 For everyday use I go with the mini satchel bags and for casual day /night out I prefer the clutches just to hold my mobile and keys and even crossbody bags too! 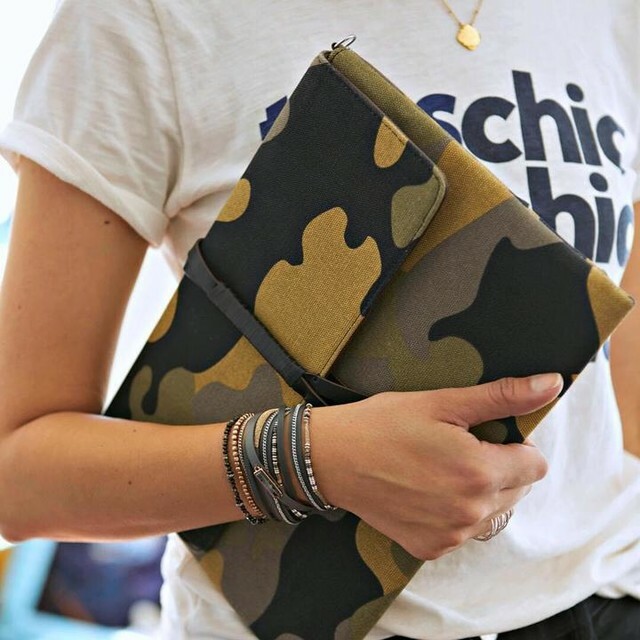 Love this clutch so much!! !